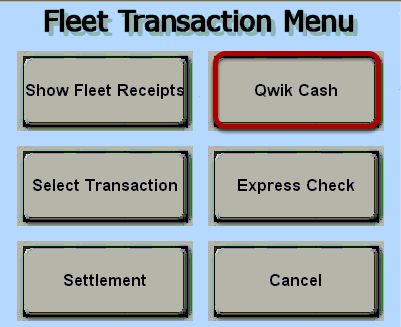 TravStar1 Point Of Sale SystemRegister Manual Fleet ChecksHow Do I Process a Comcheck? 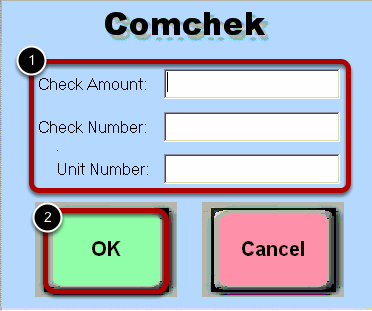 How Do I Process a Comcheck? The customer can come in with a prefilled paper check or an express code. If the customer comes in with only an express code, they can fill out a blank check. 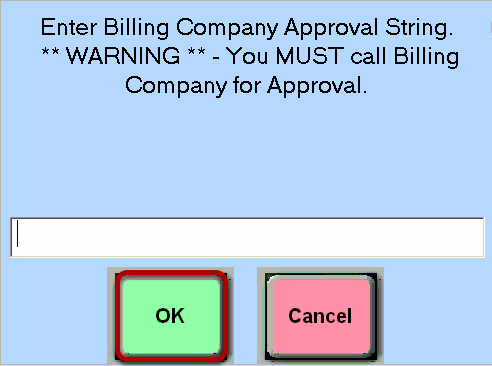 The customer must then call Comdata to have the express code registered to the check. 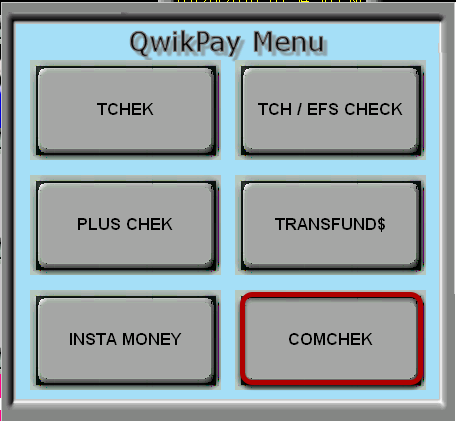 Prev: How Do I Process an Insta Money Check? Next: How Do I Print a Credit Card Batch?